Next Look Fashion Trends Styles & Accessories for professionals provides a selective analysis of the just finished Designer Shows in New York, London, Milan and Paris, compiled according to future minded design criteria. Based on the knowledge about the trends of tomorrow, distinctive fashion features are summarized in significant picture sequences serving as reservoir of ideas for new collections in the upcoming seasons. The focus is on a complex appreciation of fashion. Not only colors, materials, surfaces, patterns, silhouettes and styling are covered but also all the other components which make up a fashionable expression: All clothing ranges as well as accessories like bags, shoes, belts, scarves, hats, caps and much more. The extensive survey of design ideas leads into a summary of the most important fashion aspects, the Must Haves of the upcoming seasons. 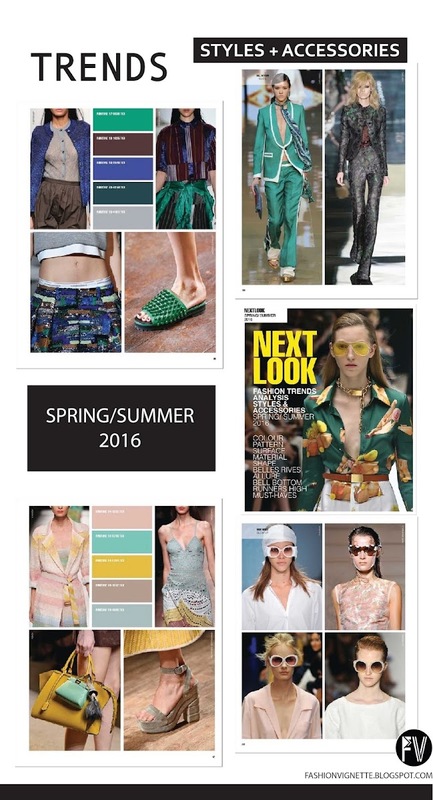 Here is a preview of their SS 2016 publication, to order your copy, go to our Trendshop here.